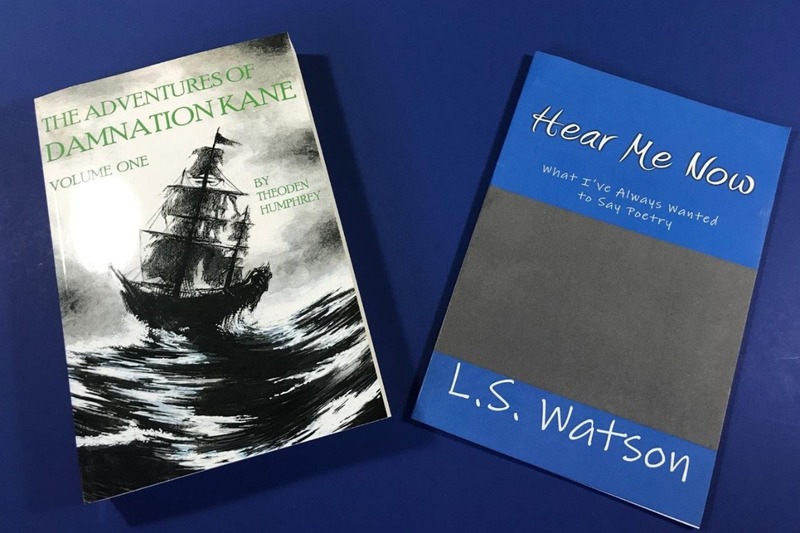 Fundraiser by Theoden Humphrey : Watson & Humphrey to the Book Fest! Watson & Humphrey to the Book Fest! Hello! If you don't know us, Lisa S. Watson and Theoden "Dusty" Humphrey are long time high school English teachers. We are also self-published authors: Lisa has published three books of poetry, soon to be four, and Dusty has published two novels, soon to be three. We are asking for your help as we take the next step towards our dreams as writers. Here in Tucson, Arizona, there is an incredible opportunity for authors: the Tucson Festival of Books. A two-day event (March 1-2) at the University of Arizona, this Festival brings more than a million book-lovers together to celebrate all things literary. We were hoping to purchase booth space at the Festival, so we could try to garner both attention and sales for our work; the Festival is filled with literary agents, publishers large and small, authors of every kind, and of course, readers. We can't overstate the potential benefits of a presence at this event for our literary careers -- for our dreams. Unfortunately, the space is not cheap. It costs $740 for the basic booth space, $900 for a corner booth; we also need to purchase posters and business cards and other promotional materials, and of course, we need to have copies of our books printed so we can sell them. All of that requires money, and as we are both public school teachers (in one of the worst-paying states for teachers in the country), the fee is out of our reach. And the clock is ticking: the Festival is first-come-first-served with booth space, and it may run out of available space at any time. So we find ourselves in a bind. And we decided to ask for help. We are looking for donations, in any amount, to help us pay for a booth at the Festival in March 2019. If we can reach our $1500 goal, then we will be able to purchase everything we need; but any amount that brings us closer to the $740 + fees we would need to reserve the booth space would be wonderful, and we can figure out the rest. We would be able to give signed and dedicated copies of any of Lisa's books or a signed copy of Dusty's book to people who donate $50 or more; $100 donations would receive both books, personally dedicated from each of us. We've spent years working to help our students achieve their potential; at the same time, we've spent years working to achieve our own. If you could give us your support, it would mean the world to us. Thanks.